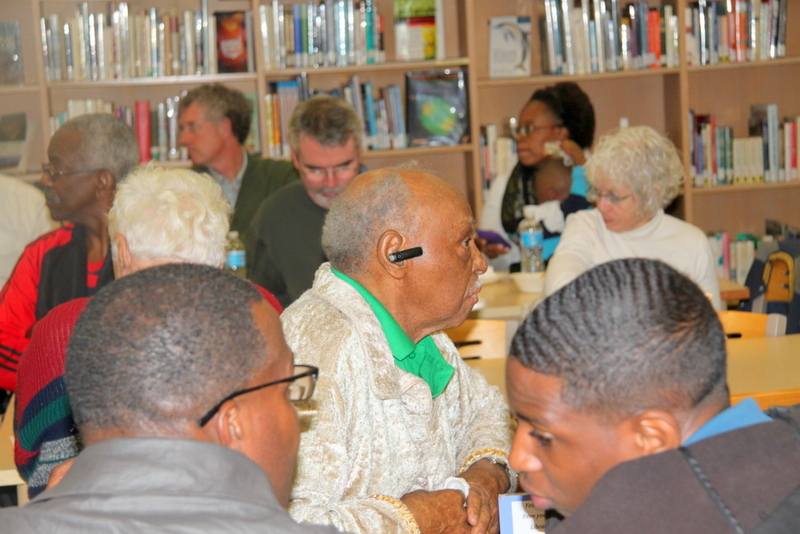 Above: Worried Northeast Baltimore residents, many of them senior citizens, pack an October meeting to hear more about the HomeServe plan. The expensive pipe repairs that Mayor Stephanie Rawlings-Blake and Public Works director Rudy Chow have warned residents about – while encouraging them to buy a private pipe warranty plan – have so far failed to materialize. At a legislative oversight hearing on Monday, Rudy Chow reported that the HomeServe USA, the company sanctioned by the city to do “lateral” water and sewer repairs on homeowners’ properties, had performed 122 repairs and “saved” Baltimoreans more than $140,000. He gave the average cost of pipe work as $1,150 without the HomeServe warranty, a figure that was repeated in a DPW press release issued on Tuesday. This is a far lower number than the $2,000-$3,500 figure that Chow used for a lateral water line connection – and $3,500-$6,000 for a sewer line connection – in his testimony before the Council. Chow was called to answer questions from the Council’s Taxation, Finance and Economic Development Committee about the “affinity marketing” campaign that Public Works co-launched with HomeServe last August. Rev. Alvin C. Hathaway, pastor of Union Baptist Church, told the Council that when he got the letter from HomeServe – emblazoned with the city’s seal and signed by Rudy Chow – he was scared and confused. Hathaway said when he started to research HomeServe he began having doubts, especially after he read that County Executive Kevin Kamenetz had warned Baltimore County residents not to pay for pipe warranty plans. He said he cancelled his check. Hathaway questioned why the Rawlings-Blake administration had entered into the HomeServe contract without any public hearings or discussion of alternatives to the warranty plan. “Baltimore City should be our ally,” Hathaway told the committee. Committee chairman Carl Stokes said the HomeServe solicitation that was mailed to homeowners in August under Chow’s signature was, indeed, confusing. Stokes went on, “When I get my gas and electric bill, it is clear to me that I can buy my electric from other companies – that I have other options,” he said. 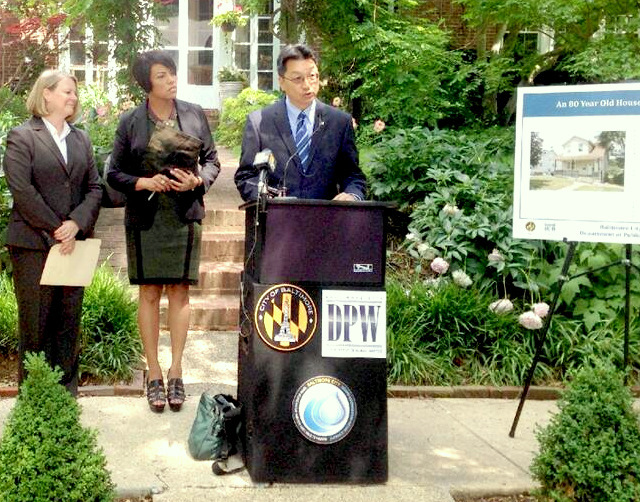 Chow replied that protecting residents from expensive repair bills was the mayor’s idea, hatched two years ago. DPW sent out a “Request for Proposals,” getting back four bids from which HomeServe was selected. It was important, Chow said, for the city to vet companies in advance of the program, and for residents to know that among the many groups that sell such warranties, the city supports only one. Chow said the city chose HomeServe for a variety of reasons, one because it offered the lowest cost for its warranty service. “That was not clear in the solicitation,” Stokes said. Jeff Raymond, a spokesman for DPW, later clarified what Chow meant. After the introductory rate of $5.99 a month for one year, customers will pay the regular HomeServe rate, Raymond said. The regular rate is currently set at $8.49 per month. “So that is what Baltimore customers will pay in year two of the agreement. Those are the only years for which we know the rates,” Raymond wrote in an email. Stokes asked Chow if he knew HomeServe was an international company – and one that had paid fines for deceptive solicitations in Great Britain as well as in Massachusetts, Ohio, Kentucky and other states. Chow told the committee, more than once, that HomeServe employs master plumbers, the highest level of licensing, implying that HomeServe used them exclusively. In a press release released on Wednesday, DPW boasted about Homeserve’s success and how much money it is “saving” Baltimore homeowners. HomeServe pipe repairs are guaranteed for one year.